Google will add "kill switch" technology in its next Android version. Google has confirmed it will incorporate kill-switch technology into its mobile operating systems in an upcoming update. The report doesn't provide a timeline for Google's update, though an update is expected at the next week I/O developer conference. Google will update ADM to include a kill-switch in its next version of Android. Google already has a built-in security app in its Android Device Manager, that allows users to locate their device on a map, ring it remotely and erase data in case the device is stolen. Google, along with Samsung, HTC, Microsoft, and Apple had agreed to an initiative grouping large phone makers and carriers to implement a kill switch feature in all devices by the middle of 2015. The kill-switch feature will probably not render the phone permanently unusable, but owners will be able to restore its functionality in case they recover the device. The New York State Attorney General recently released a review of its Secure Our Smartphone (S.O.S.) initiative, to cut down on mobile device theft. The report stated that fewer device were reported stolen after Apple added its Activation Lock security tech to iOS 7. The report also revealed that Microsoft and Google will add kill-switch tech to their devices before the industry deadline. "Microsoft confirms it will incorporate a kill switch-type theft-deterrence solution in the next release of its Windows Phone operating system, which will run on all Nokia smartphones," the report said. 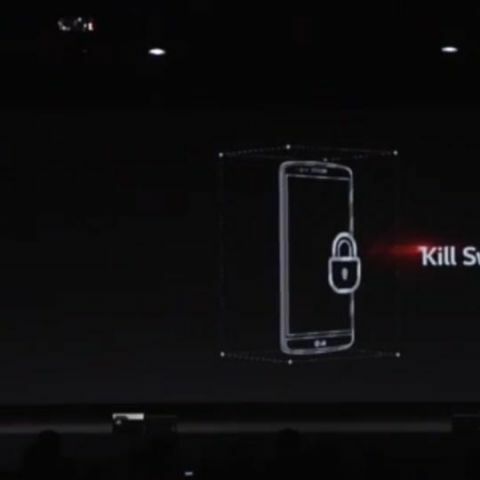 "Google confirms it will incorporate a kill switch-type theft-deterrence solution in its next version of the Android operating system, the most popular mobile operating system worldwide." Microsoft's vice president of U.S. Government Affairs Fred Humphries recently stated that the theft deterrent features will be offered as an update for all phones running Windows Phone 8.0. He added that details about functionality and availability will be provided closer to the official release date.